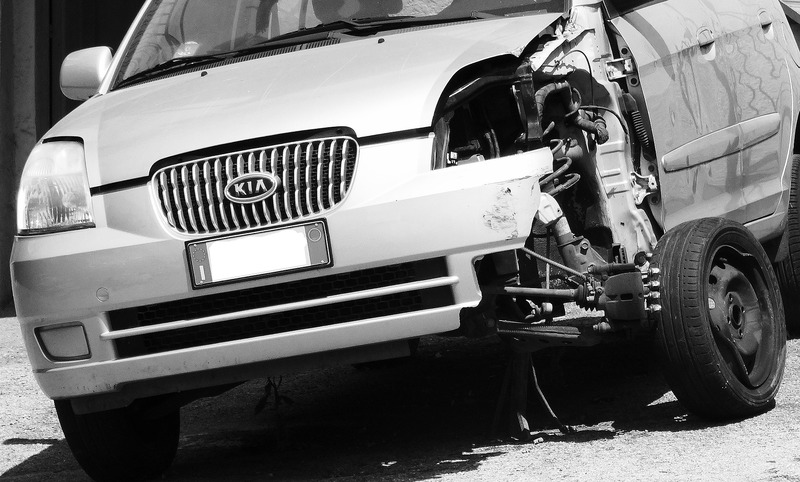 Once in awhile, vehicles can have problems that create emergency situations for drivers. Goodwill is happy to accept donated vehicles that have been damaged in these situations, but it is important for drivers to learn the safest ways to handle emergencies on the road. Tire Blowout: A tire blowout is when a tire bursts and becomes flat almost immediately. Tire blowouts are usually caused either by overloading the vehicle or driving too fast on an under-inflated tire. Blow outs may sound like a gunshot and can be very alarming for drivers. The best way to handle a tire blowout is to continue pushing on the gas pedal for a few seconds to avoid stopping the vehicle too abruptly. The flat tire will slow the vehicle down significantly, at which point you should gently turn the steering wheel towards the side of the road on the side of the blown out tire. It is important to turn gently without braking in order to maintain control of the vehicle. Tread separation: Tread separation is when the rubber part of the tire separates from the casing of the tire. Tread separation is more dangerous than a tire blow out because in the case of tread separation, the tire casing contains a steel belt. If this steel belt comes out of the tire, it can cause a lot of damage to your vehicle because it will fly off and could hit other parts of your vehicle or pedestrians. You can avoid an emergency situation by having your tires checked out if you start to hear them making a slapping or thumping sound. However, if you do find yourself in a situation where your tread has separated, follow the same steps as if your tire has blown out. Of course one of the best ways to avoid both of these situations is by replacing your tires when they are due. However, if your vehicle has been damaged due to one of these tire failures and you are not sure what to do with it, donating it to Goodwill would be a great option for you. Goodwill accepts donated vehicles in all conditions. Start the vehicle donation process today!